The reports of fraud, including identity fraud — using someone else’s personal information, continue to climb in the U.S.
A report just released from Javelin Strategy & Research, co-sponsored by Wells Fargo, found that the number of identity fraud incidences increased by 13 percent in 2011, climbing to 11.6 million victims, with mobile device and social media-related fraud accounting for a large percentage of the increase. The only good news to come from such reports is that the majority of frauds can be prevented by identifying the methods used by fraudsters. The more victims know about a fraud, the less likely they are to fall for it. Landlords fall prey to these scams, from grow operations and property damage to tenants who mask a bad rental history or use fake identities to avoid collection. However, you can avoid falling victim to tenant fraud by thoroughly screening new tenants, including running a tenant credit report. A tenant credit report, when used in conjunction with a completed rental application, can assist a landlord in verifying the identity of the rental applicant. A fraudster may not have access to the victim’s credit report, and therefore cannot accurately recreate that information on the rental application. Should the prospect try to use a false name, or misrepresent keys facts about their past, the credit report and the rental application may not match. The credit report also can link the applicant’s name, date of birth and SSN to confirm the individual’s identity. Before meeting the applicant, also view the applicant’s ID for later comparison. The credit report offers details about the rental applicant’s financial habits and employment activities. This is a key indicator in determining whether they will pay rent reliably and on time. By viewing this credit history, a landlord can confirm that the tenant has a legitimate source of income. If the credit history is poor, a landlord can disqualify an applicant who has not been telling the truth about their credit-worthiness before they lose money from a bad tenant. If no credit history can be found, the landlord can look into possible reasons for the lack of credit to determine if the applicant has anything to hide. A credit report also can be useful in catching a rental applicant who has not been forthcoming with damaging information about their rental history. For instance, a credit report often will include previous addresses associated with the applicant. If an address is not listed on the rental application, the landlord has the opportunity to find out why it was omitted, and to ask to speak with the previous landlord to uncover potential problems like an eviction or past due rent. 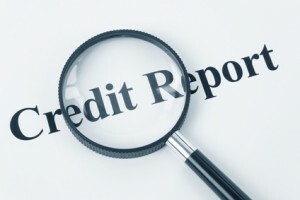 Credit reports can also flag whether the rental applicant has used other names. A credit report is an important tenant screening tool because it can flag potental problems. This allows the landlord the opportunity to follow up with the individual rental applicant to determine whether there is a reasonable explanation for any discrepancies, or perform additional due diligence, like back up documentation necessary to clarify any potential problems regarding an individual tenant. We just had some tenants move out, we had a lot of trouble with them and I remember reading in the past that we should report this somewhere so other landlords can be aware of these tenants habits. Unfortunately I don’t recall where I am supposed to send this information. Could you provide that for me please? You can report late payments now if you are a member. Log in on the website http//www.tenantverification.com and click the icon for Report Tenant Pay Habits. Call our toll free line –1-877-974-9328 if you have any questions. Sorry to hear you had problems with your tenants.